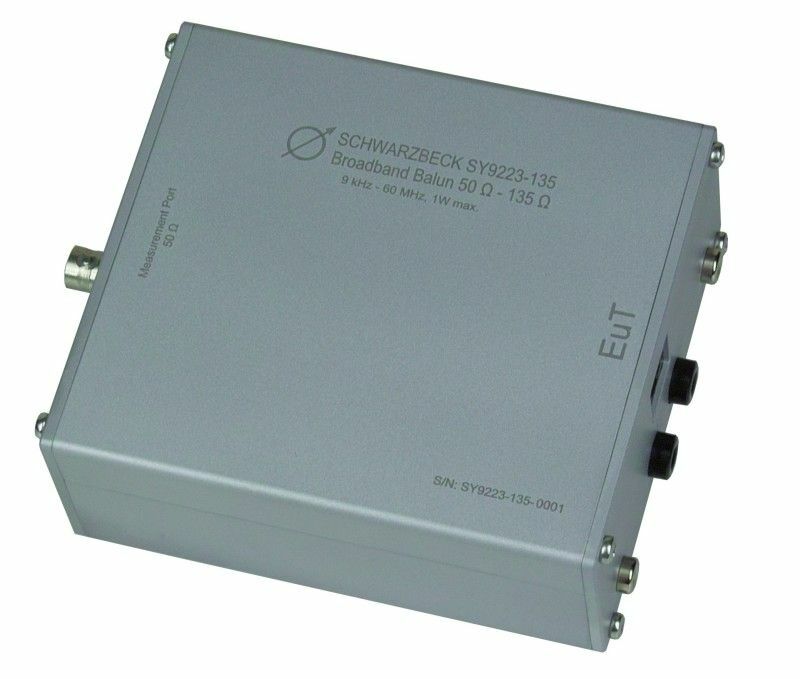 The SY 9223 Profibus balun adapts a symmetrical signal to a coaxial line. Usually twisted pairs with an impedance of approx. 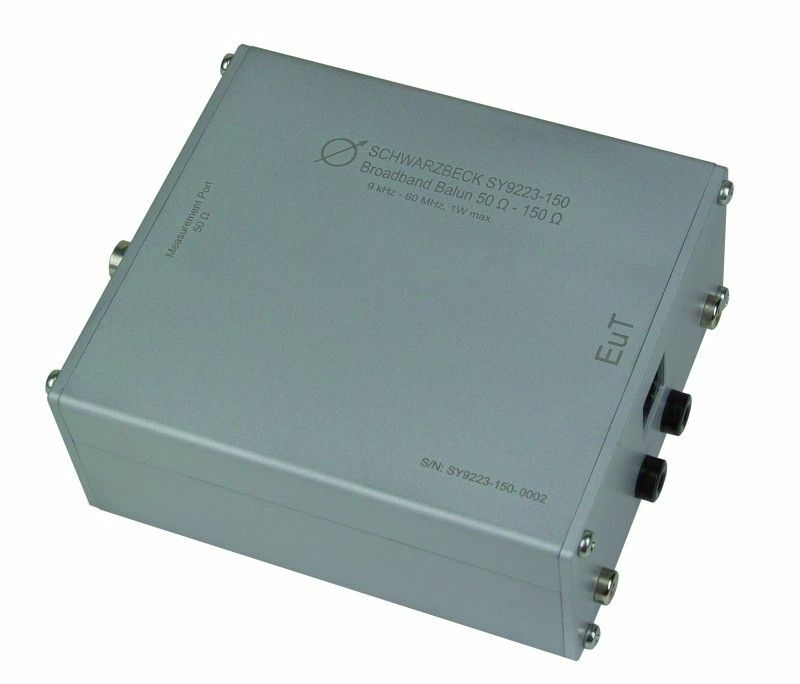 120 Ω are used to transmit the Profibus signals. 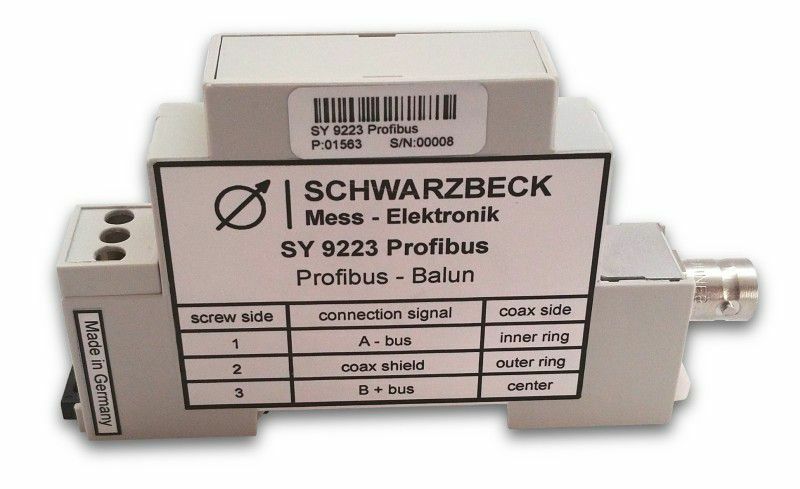 The SY 9223 Profibus can be applied to use an existing triaxial wiring. 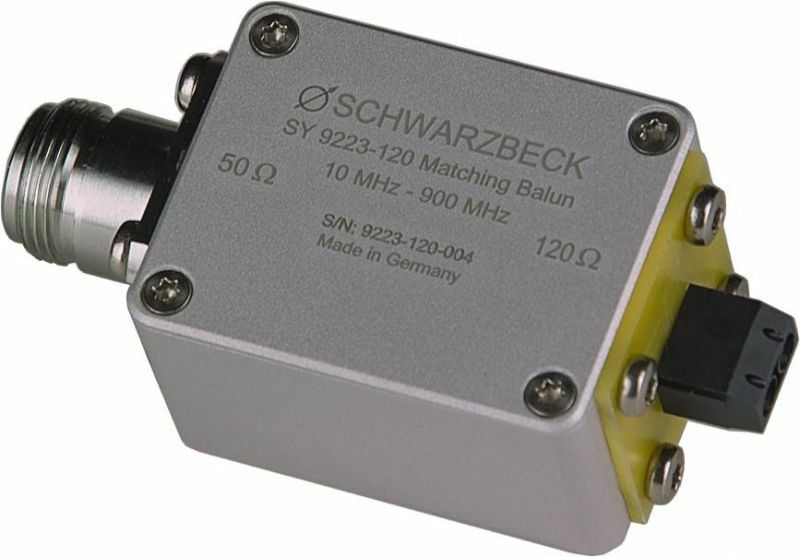 SY 9223-7637-4 is a symmetrical transformer (balun, balance-to-unbalance transformer). 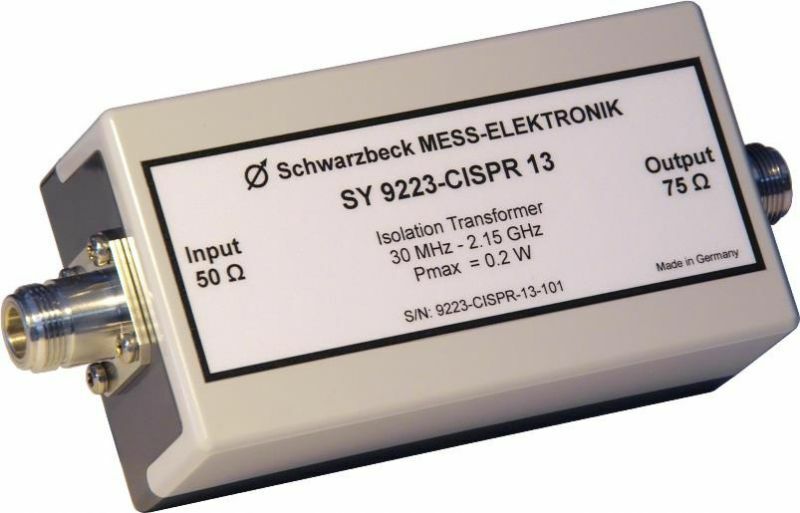 It transforms an unsymmetrical RF signal into a symmetrical one while not transforming the impedance. 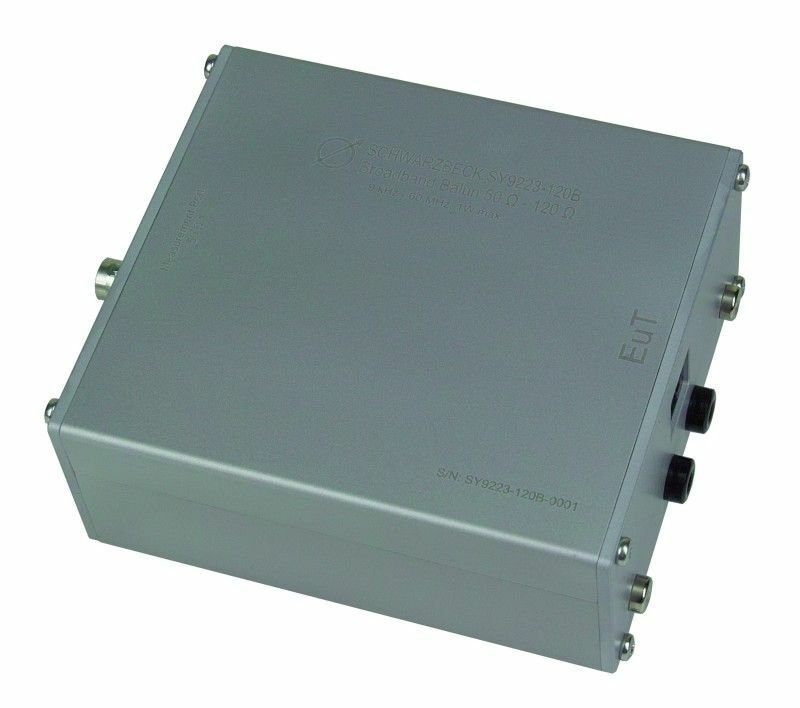 It has low insertion loss, a wide range of bandwidth and can dissipate a big amount of power. respectively acc. to CISPR 17 for filter measurements. 100 Ohm-side with banana jacks. 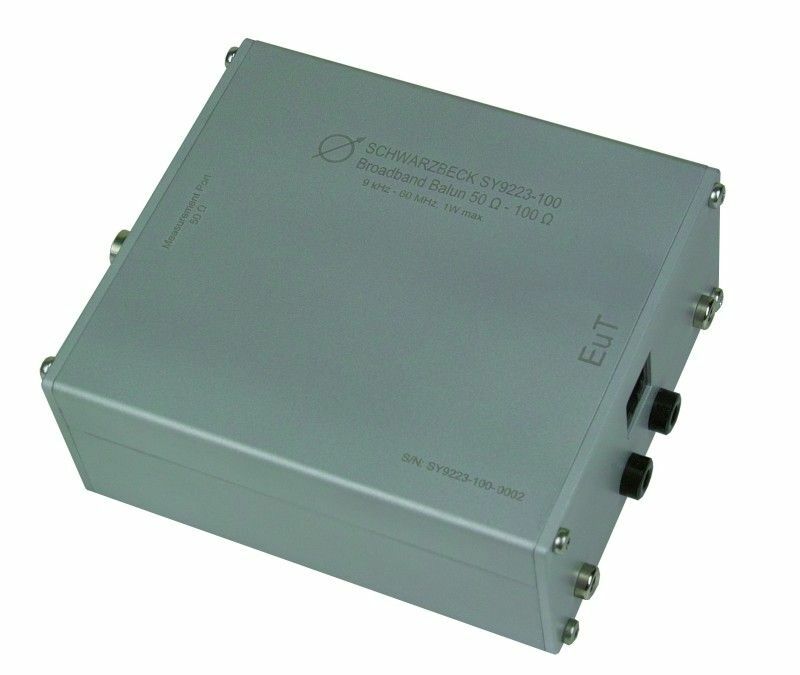 50 Ohm-side with BNC-jacks. respectively acc. 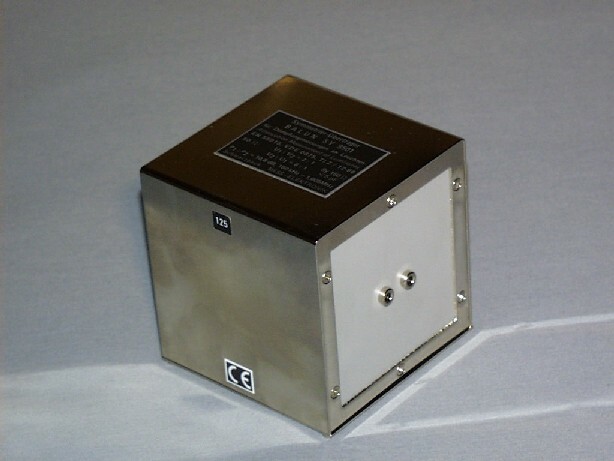 to CISPR 17 for filter measurements. 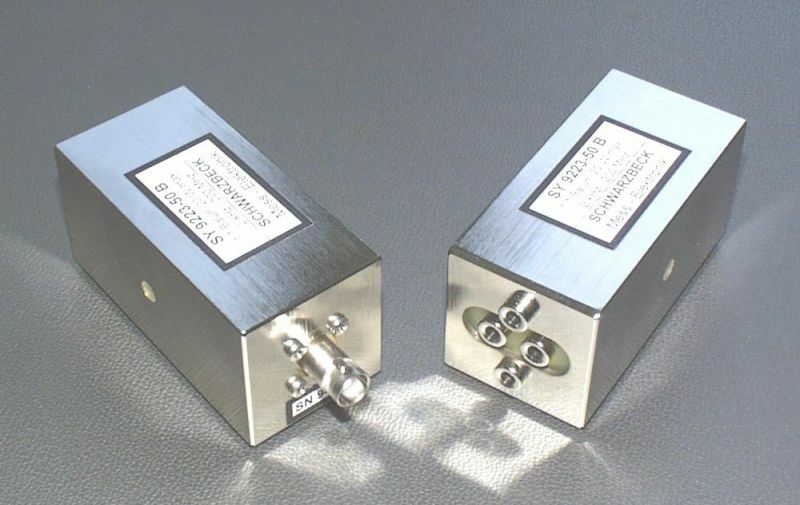 50 Ohm-side with BNC-jacks, 0.1 Ohm-side with banana jacks.